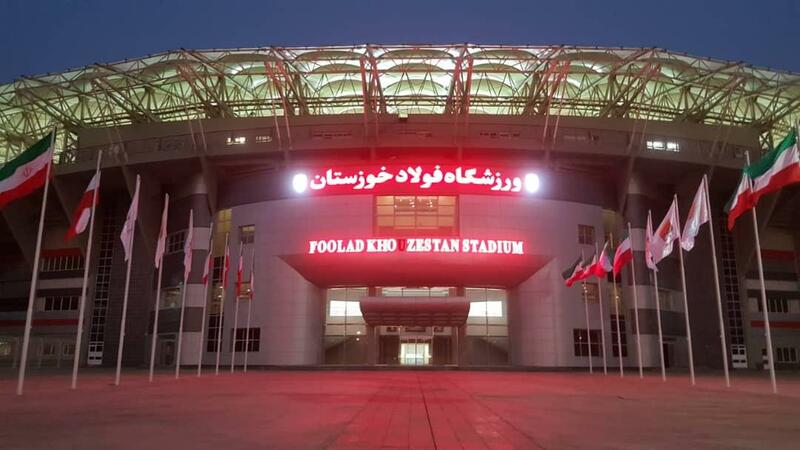 The investment in the east of Ahvaz managed to stay away from the spotlight even domestically in Iran, let alone internationally. 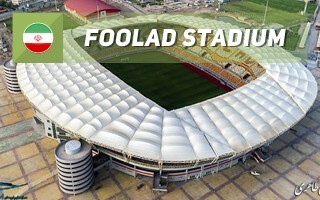 It surfaced relatively late, especially that groundbreaking took place back in 2008. Enabling works began the previous year. So why is a project like that taking 10 years to complete and not be a conversation piece? 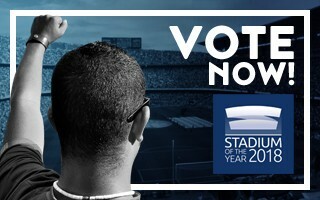 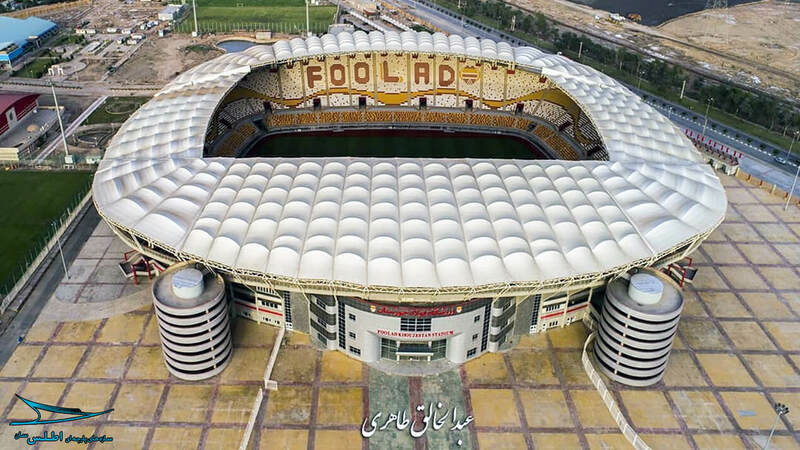 Meanwhile, the stadium has already became famous for the push for quality. 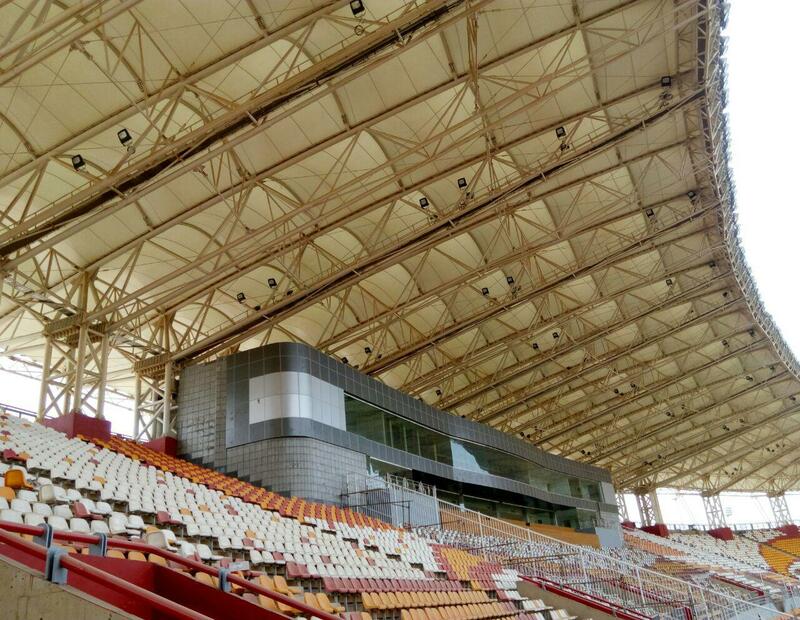 Floodlights allowing HD broadcast, LCD screens, under-soil heating, luxurious furnishing within the main stand and on top of it all – literally – membrane roof (23,000 m2) imported from Europe's famous Serge Ferrari. 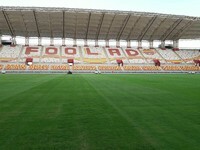 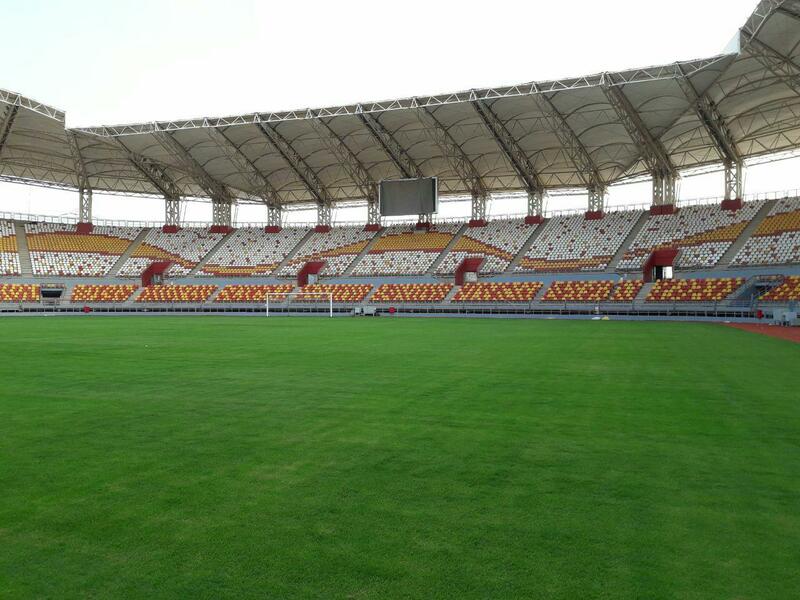 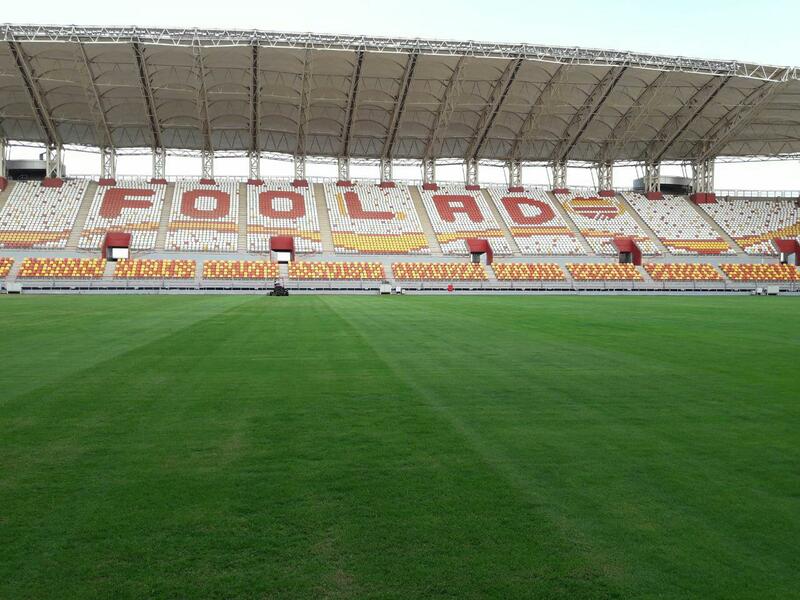 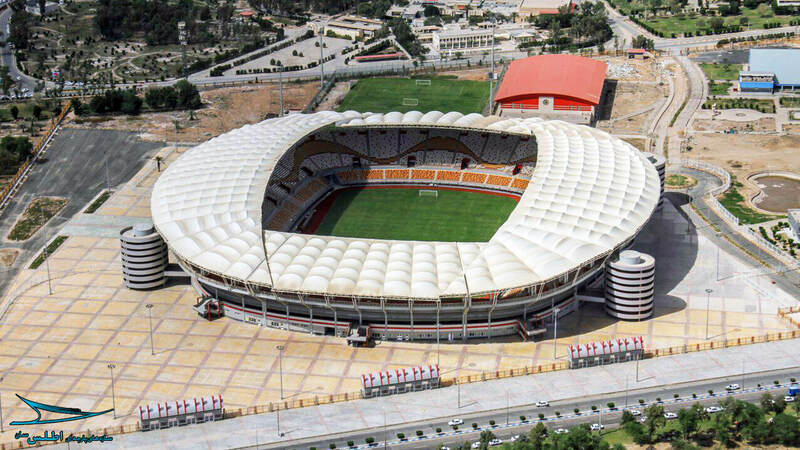 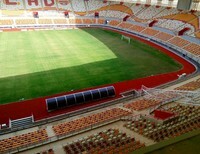 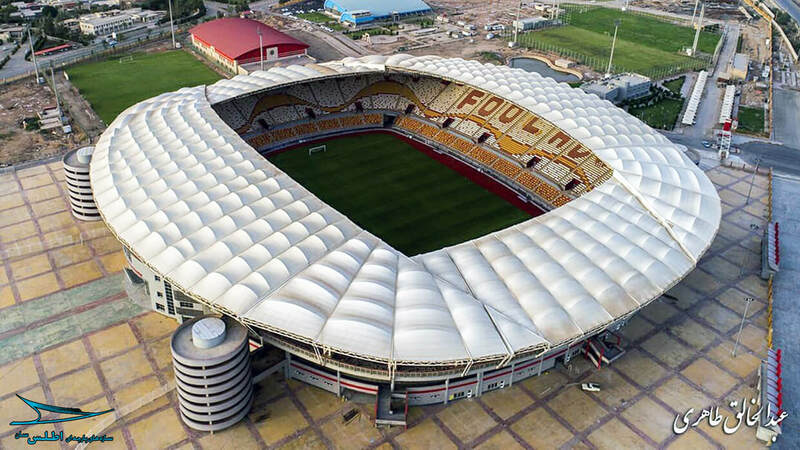 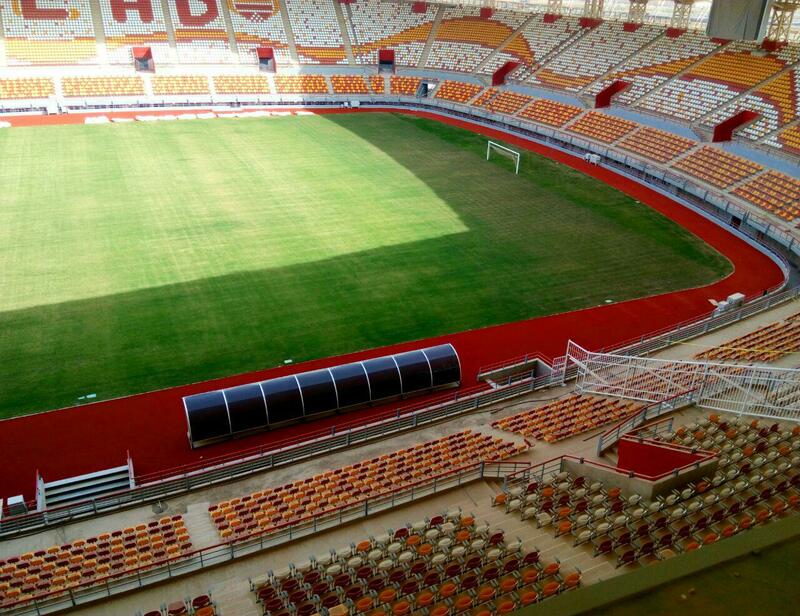 But most notably, both for us and Iranian media, the stadium is the first professional football ground in Iran to have football-specific layout. 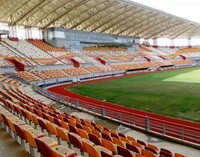 It's perhaps not a truly 'rectangular' stadium but the seating bowl offers very decent sightlines to all visitors.